Thanks to Steve Jobs and his thought-leadership I’m now running the School of Thinking from my iPad. We will be designing a series of SOT applications especially for iPad utility. They will be young, fast and scientific. 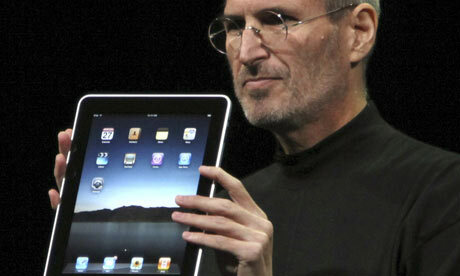 As you can imagine, I was downhearted to hear that Steve Jobs has left Apple and is no longer CEO. Due to his poor health he is unable to carry out his responsibilities. This is sad for his friends and customers, a profound loss to the company and Steve’s departure punctuates the end of one of America’s greatest productive eras. Steve obviously found his purpose (as in not conforming to expectations)His legacy is assured. We will not be able to replicate his work, but we can certainly lite a fire under the ideas that currently appear impossible to us. He added ‘ byte’ to the apple and created JOBS. The marketplace is ready for smart dolphin! he has made a dent in the universe. he’s still chairman of the board and probably has lots of capable people working for him. what would be some “bvs”s?